CAN AN 'ANGRY' AJITH MAKE IT ON TIME? 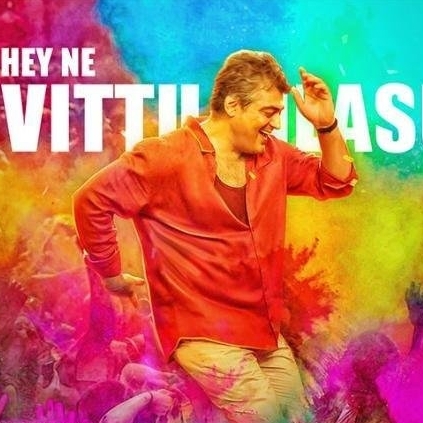 The title of the Telugu dubbed version of Vedalam is Aavesham (Anger) and it is heard that the makers are looking at a simultaneous release for the Telugu version as well, along with the Tamil version on November 10. Ajith's previous films like Yennai Arindhaal, Veeram and Arrambam have all had delayed releases for their Telugu dubbed versions and we have to see if Aavesham can make it along with Vedalam. Meanwhile the rerecording work of the film is happening in full swing under the supervision of composer Anirudh, as the release date nears. A lot is riding on the film and fans are expecting another cracking Thala Diwali. GV opts for the comedy specialist? People looking for online information on Aavesham, Thala Ajith, Vedalam will find this news story useful.